Now the agency must reconsider protections for the rare Pacific fisher. In September, U.S. District Judge William Alsup ordered the U.S. Fish and Wildlife Service to reconsider its decision not to federally protect Pacific fishers, ruling that the agency had ignored and mischaracterized research about the species. At a time when the Endangered Species Act faces increasing politicization, the decision re-affirms the role of science in deciding when and how to protect the West’s disappearing species. Rodenticides from illegal marijuana operations have threatened the Pacific fisher in recent years. The Fish and Wildlife Service decided not to grant fishers federal protections in 2016; now, a judge has ordered the agency to reconsider. About the size of large house cats, Pacific fishers hunt birds, rodents, hares and even porcupines. Once found throughout the Pacific Coast mountains, fishers have been dwindling for generations, first because of widespread logging in their range, and more recently because of illegal marijuana operations in remote forests. Growers put out rodenticides that work by stopping blood from clotting, and fishers consume poisons and small critters laced with them. Before dying, poisoned fishers bleed from the nose and gums, are bruised and anemic, and struggle to breathe. Since 2004, Fish and Wildlife has stalled over whether to protect Pacific fishers, but in 2014, it finally proposed protecting fishers as federally threatened. Two years later, the agency changed course, deciding that fishers did not need protection after all. Conservation organizations including the Center for Biological Diversity sued, saying that Fish and Wildlife had caved to pressure from the timber industry. Indeed, multiple industry organizations joined the suit as defendants alongside the federal agency. Now, Judge Alsup has ordered Fish and Wildlife to reexamine the issue. According to Alsup, the agency “cherry picked” scientific evidence to make the results of being poisoned seem less severe than they were for the animals, while also ignoring evidence that poisonings are on the rise. Alsup also questioned why the agency — which says that not enough evidence exists to know whether poisoning threatens fishers with extinction — didn’t conclude that it needed to study fisher poisonings more, rather than declining to list them. Additionally, the agency ignored a conclusive finding about the species: Female fishers are on the decline. That’s not surprising, given that rodenticides are especially dangerous for pregnant fishers. Alsup has given Fish and Wildlife until March 2019 to issue a new decision on whether to protect Pacific fishers. 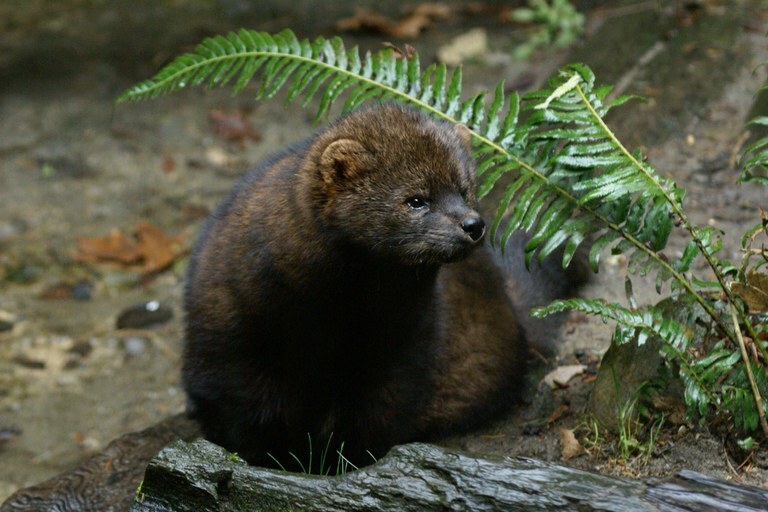 It’s been nearly 20 years since the listing process began, and in his ruling, Alsup suggested that the agency give scientific evidence about Pacific fishers another look as it reconsiders protections for one of the region’s rarest carnivores.